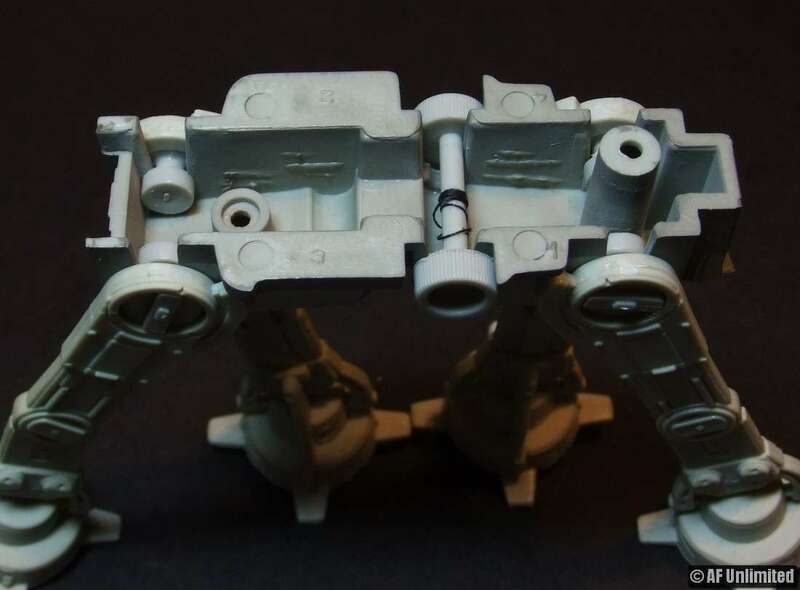 I removed excess plastic from the neck so that the command “head” can rotate more. Body is held together by screws. I discovered this years ago, but I had forgotten about it until I made this website. 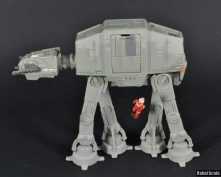 The AF AT-AT has a feature that was never finished in the final product. 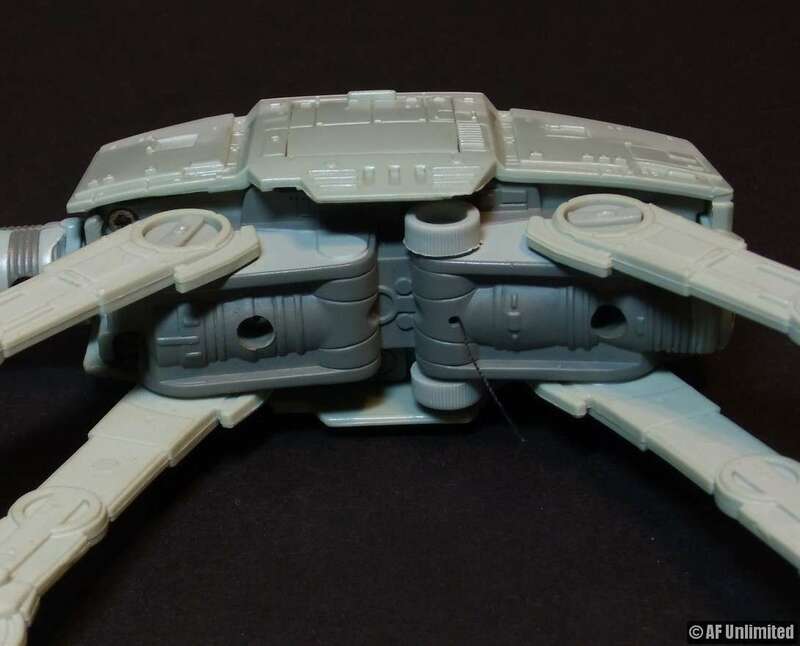 It has a “roller” on the inside, which can be turned easily, but is difficult to see when it’s assembled. The roller has a small hole, which is directly above another hole. 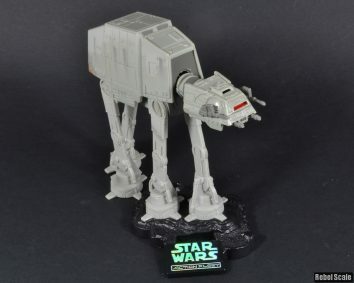 I believe that Galoob intended for this to be a winch that would hoist Luke or another figure up under the walker. If you add some thread, the feature works perfectly. Then replace the two screws and you’re ready to go. 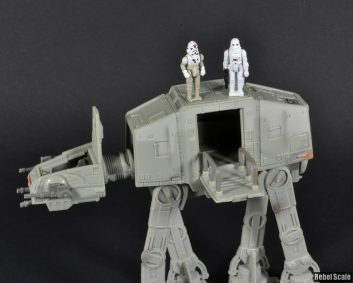 I can’t imagine why Galoob didn’t add this awesome function to the final toy.